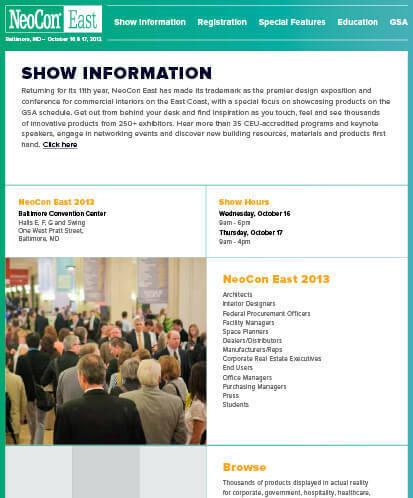 NeoCon East See it. 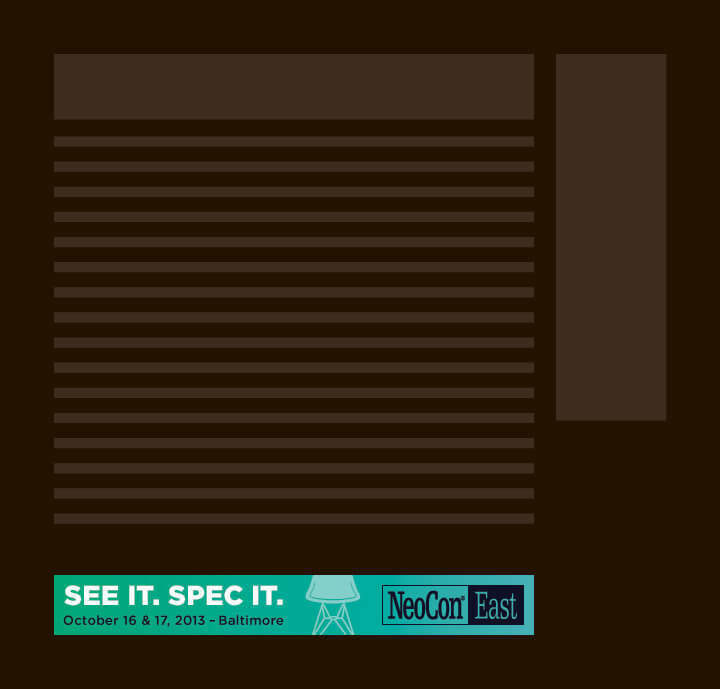 Spec it. 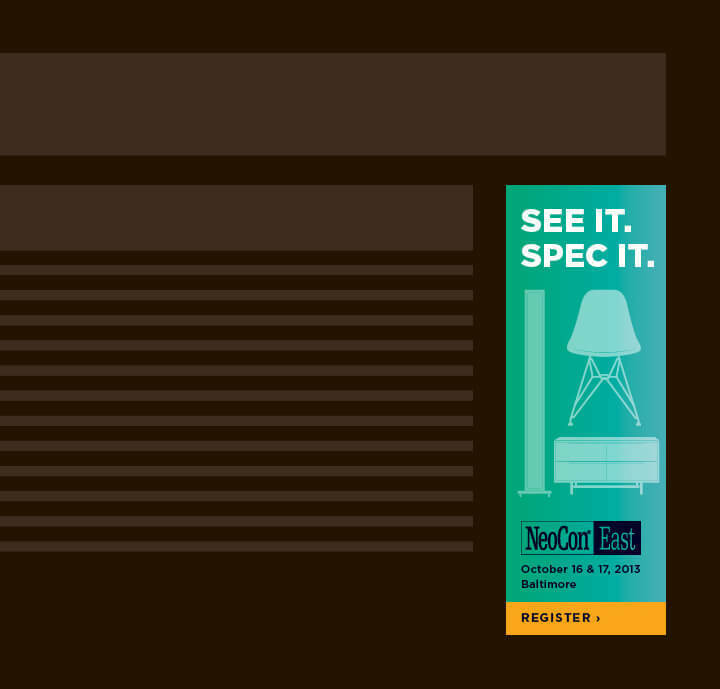 opener See it. 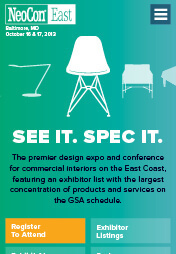 Spec it. 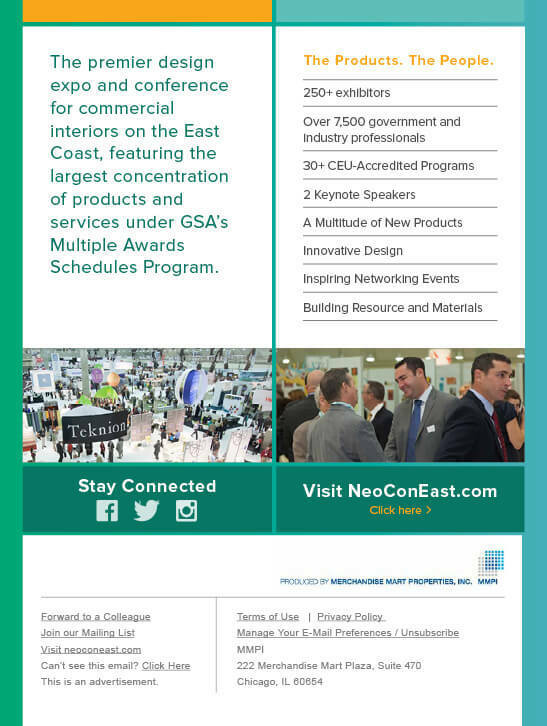 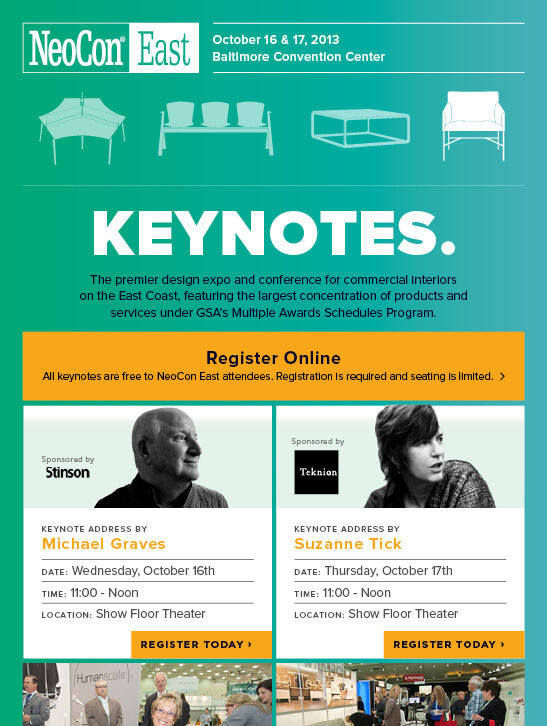 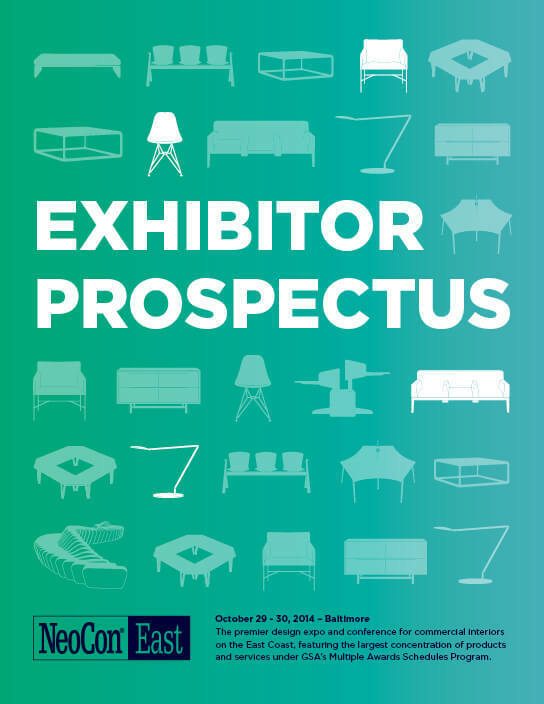 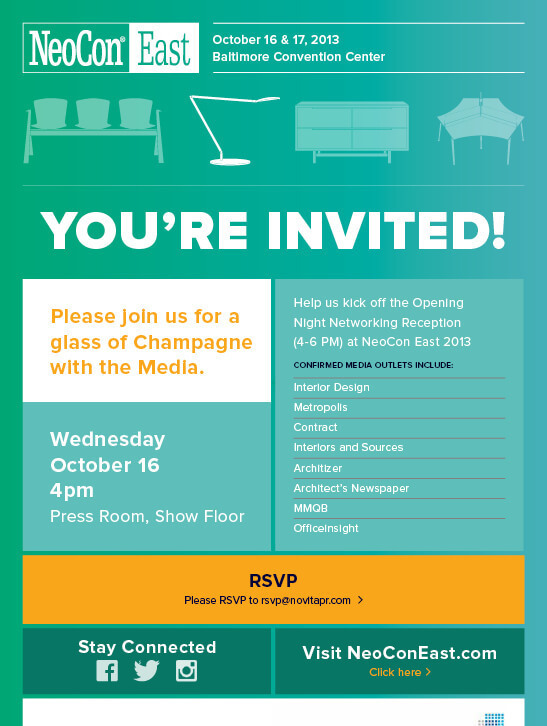 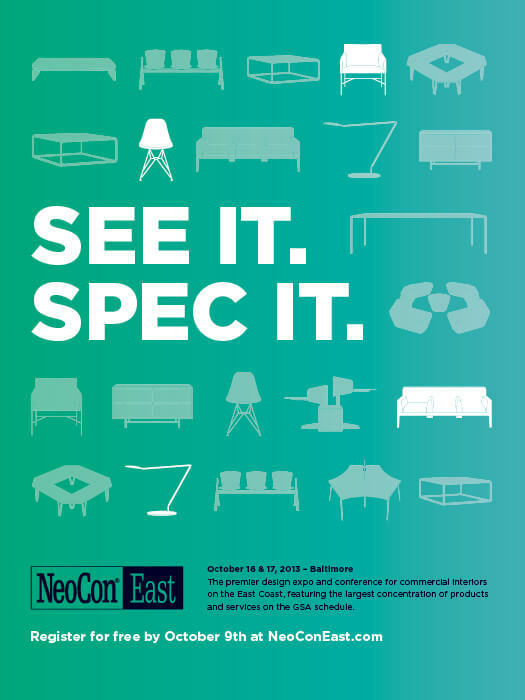 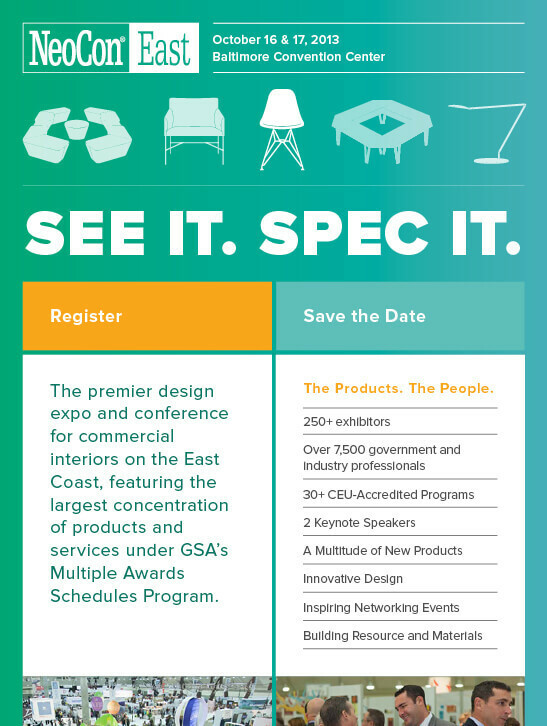 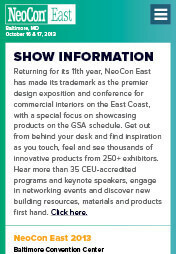 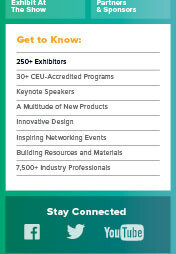 NeoCon East is the leading contract furnishings conference on the east coast with over two hundred leading companies showcasing thousands of products. 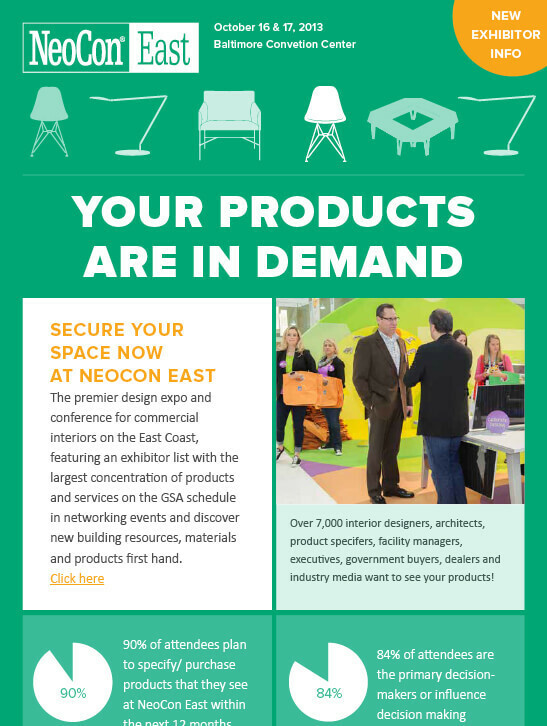 A hard-hitting, straight-forward marketing message encouraged buyers to simply see the products they want and spec them right at the show. 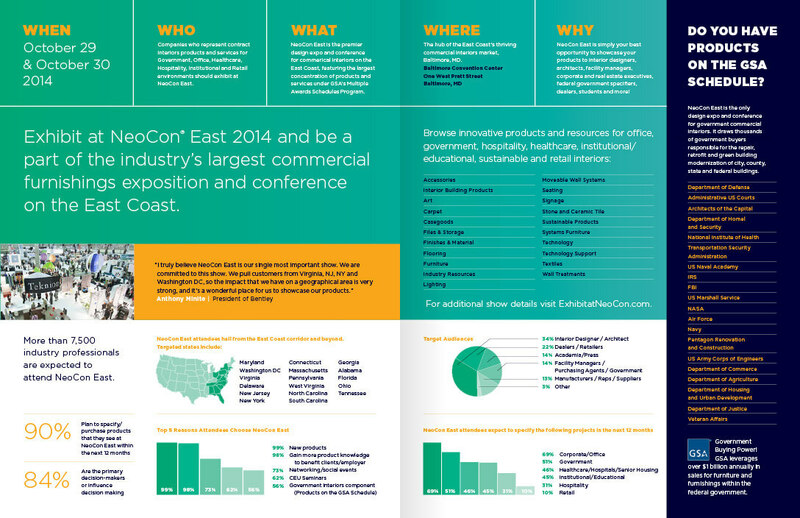 The visuals show a vast range of silohuetted illustrations covering every industry vertical. 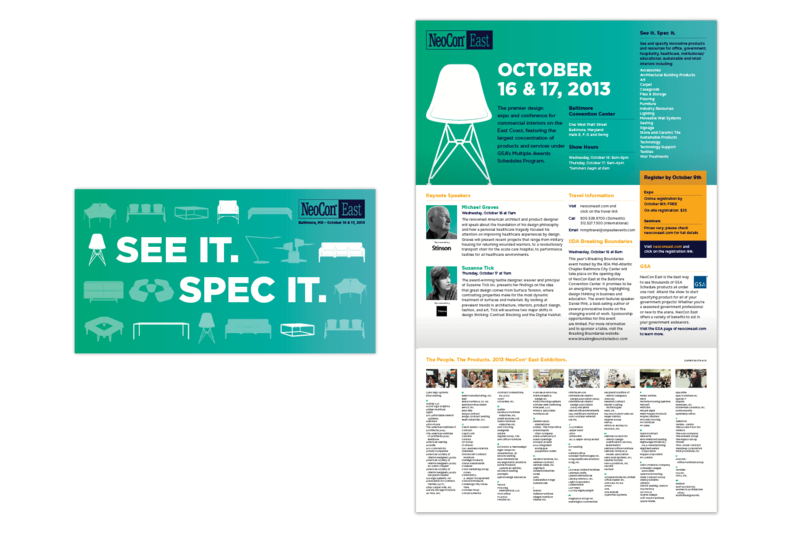 Direct Mail A three-panel brochure was mailed to potential attendees to show them the benefits of attending the event. 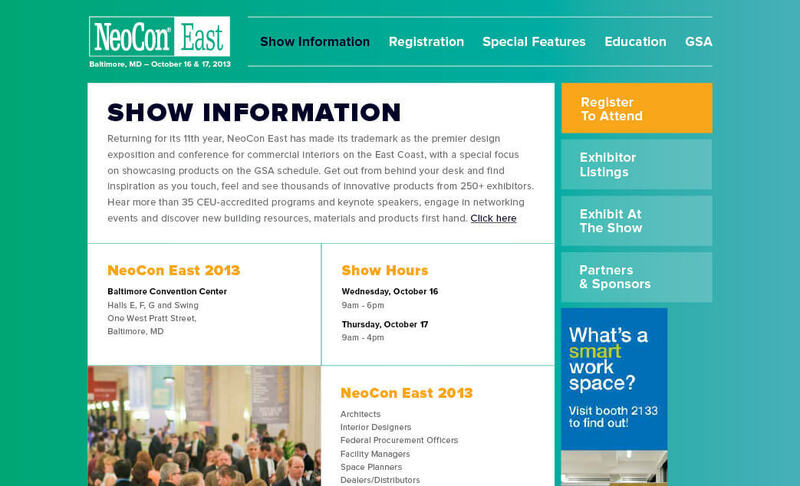 A series of emails were designed, programmed, tested, and distributed through their email service provider. 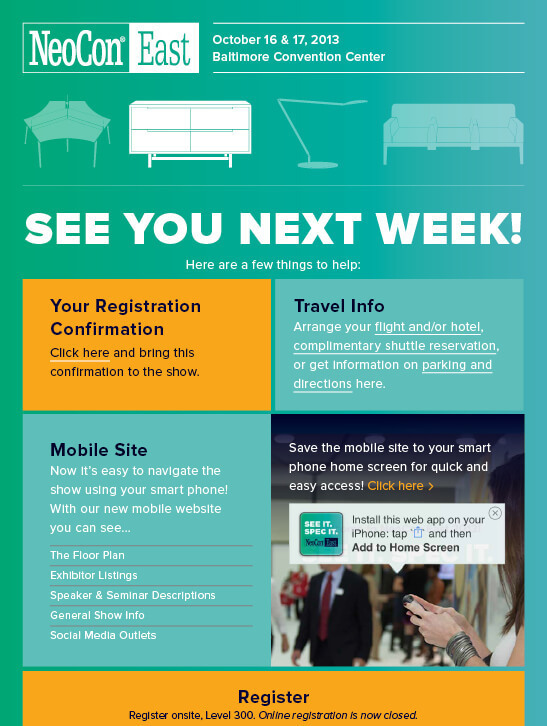 The emails used a responsive layout so they were easily read on mobile devices. 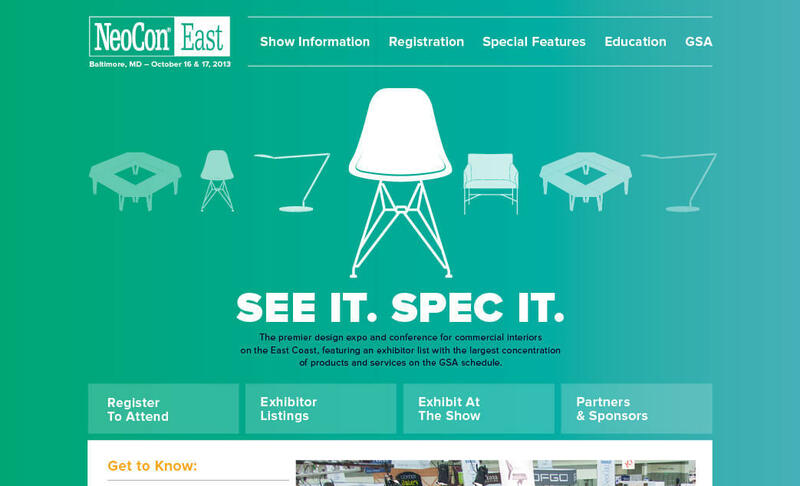 The campaign included online advertisements that were displayed on key industry-specific websites to encourage people to register for the event. 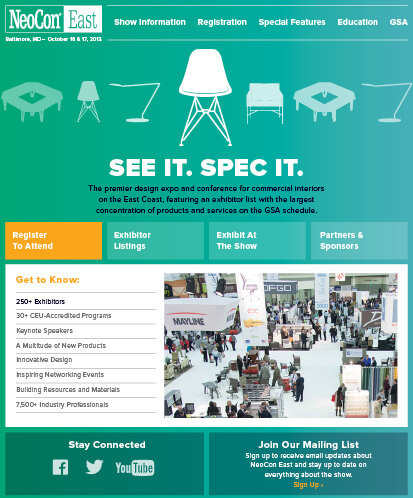 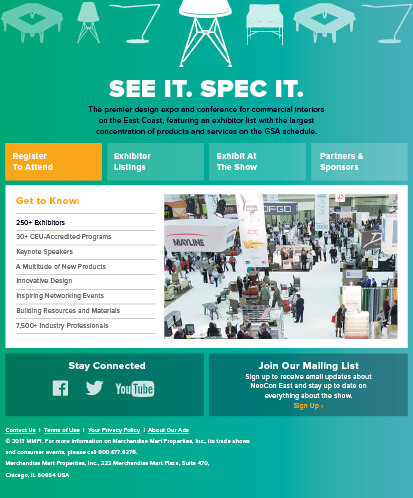 The headline is nestled into a grid of icons that represent the full spectrum of contract furnishing solutions that could be discovered at the show. 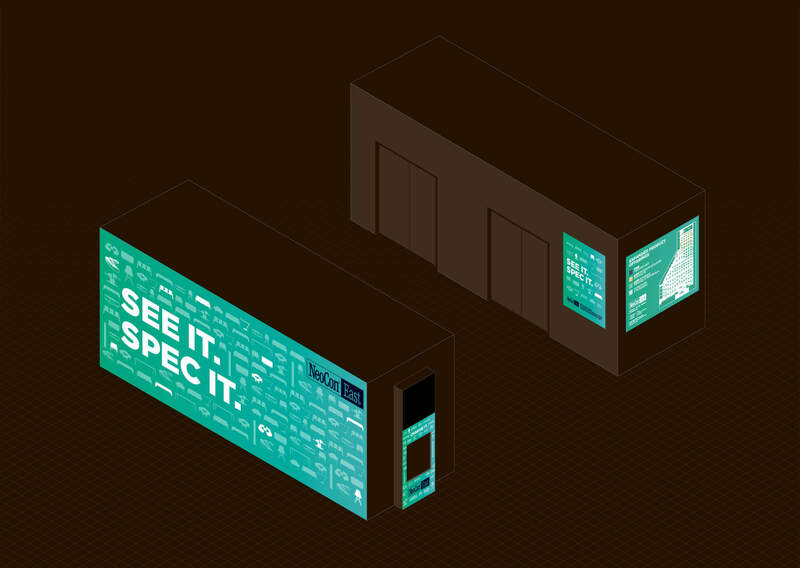 We developed a system of way-finding signage and graphics that branded the convention center for the event. 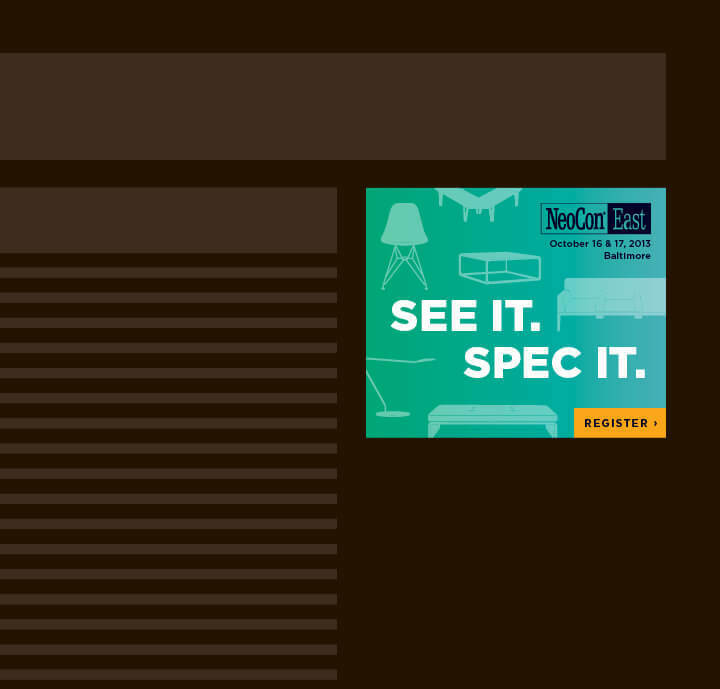 Website The homepage utilized the iconography to create a scrolling animation that highlighted one icon at a time. 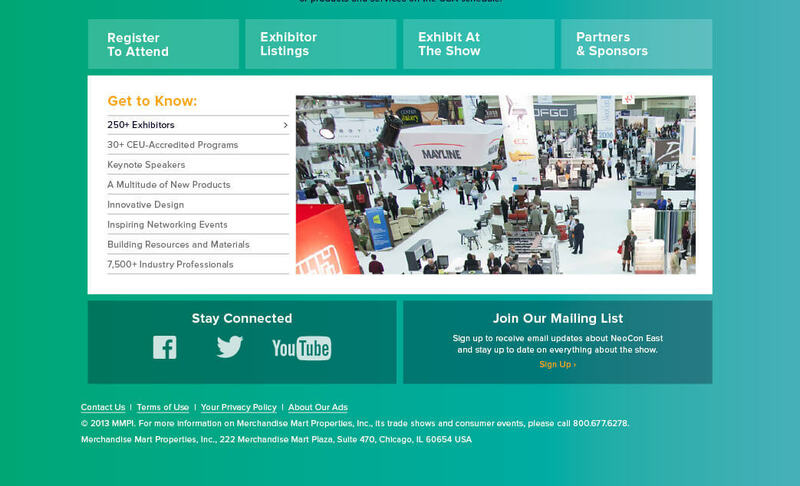 The navigation was simplified to get users the information they needed easily.